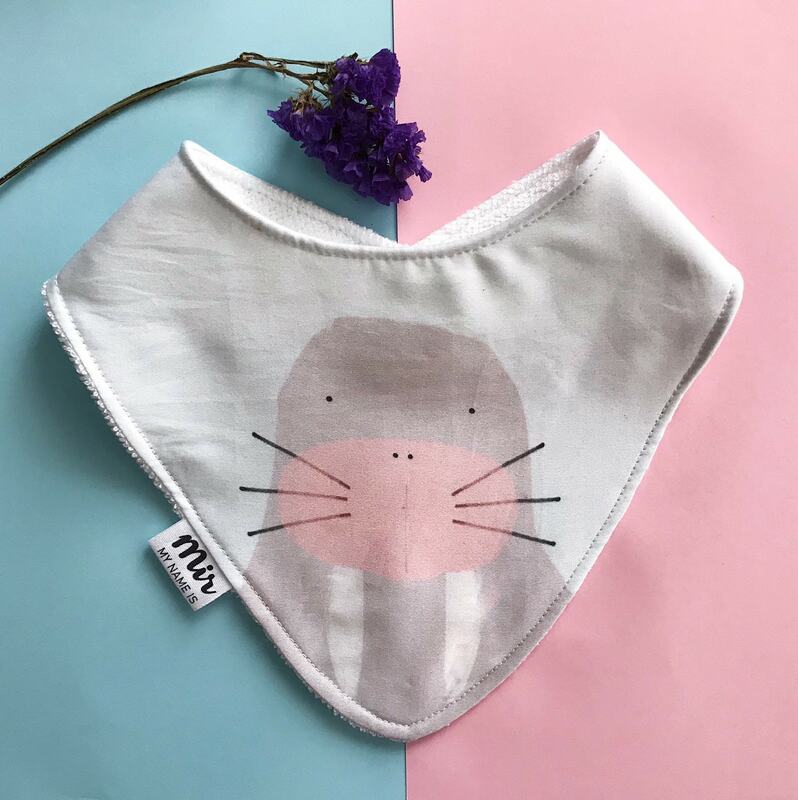 Bandana Bibs are perfect for new babies and older. They are a lifesaver when baby starts to drool to keep your baby's outfit from getting soaked. 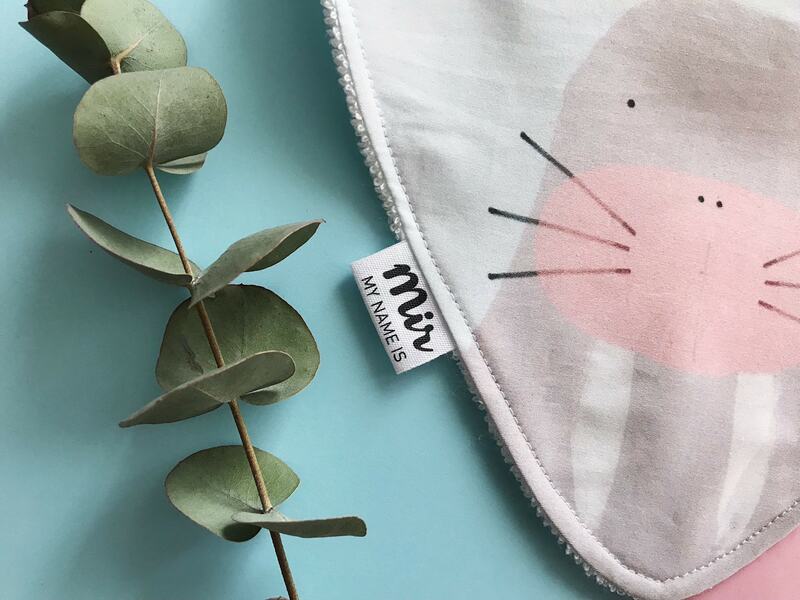 This bandanna has a My Name is Mir exclusive design, with the print of our Sweet Lion: add a different touch to your little one with an original and unique bandanna, made one by one in our studio in Barcelona with the best materials. You can tie it with a clip button. 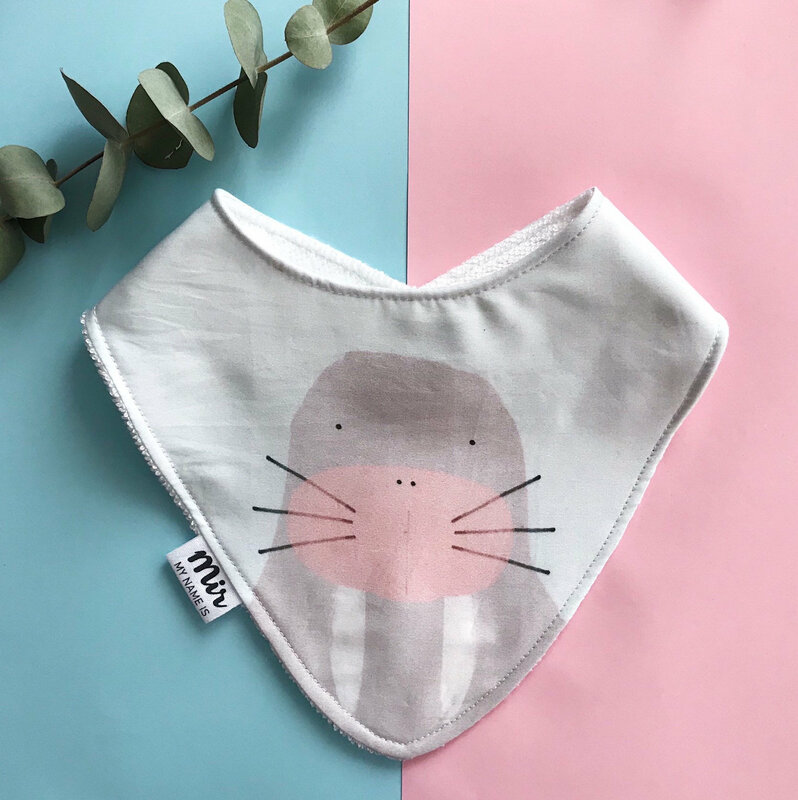 The fabric is 100% cotton and it is certified with "Made in Green" by OEKO-TEX (R). Its texture is very soft and nice to touch and it has a white towel on the back. You also have other products with this design - prints, phone case, mini purse and sunglasses cases! Check them out at our shop! Do you have any doubt? Contact us!